In today’s fast-paced world, cellular phones have become a primary means of communication. The technology has advanced rapidly and now people carry sleek smartphones full of apps you did not even know you needed. Cell phones operate off of cellular towers, with your cell phone bouncing its signal to the closest tower, which then relays that signal onward. As you travel farther from urban areas or travel into terrain that is hilly or mountainous, that cellular signal disappears as you are able to connect with fewer and fewer towers. How do you communicate when you are in an area with no cellular towers or where the terrain inhibits your connection to these towers? Satellite phones. Satellite phones, or sat phones, are mobile two-way communication devices that use satellites orbiting the Earth to receive and transmit data. Sat phones rely on line-of-sight with their satellites to establish a connection. Since they rely on line-of-sight, they work best in open areas with a clear view of the sky. Using them indoors, in vehicles, and even in a city surrounded by tall building and wires will hinder your signal. Satellite constellations are either configured as geosynchronous or low Earth orbit. Geosynchronous satellites, also called high earth orbit or GEO, are very large satellites that maintain a high altitude (around 22,000 miles) orbit and follow the Earth as it spins. This means that they are always centered along the Equator and generally remain in a constant location in the sky. A constellation of perhaps four satellites will be able to provide coverage for nearly the whole globe. Because of their size, these satellites are able to handle large volumes of data. However, because of their height, they have significant delays in transmission, resulting in momentary pauses for the person on the other end of the line. Since sat phones rely on line-of-sight, polar coverage is hindered and it may be difficult or impossible to get a signal if you are in a canyon or a mountainous area. Low Earth orbit, or LEO, satellites offer a significantly lower orbit, around 900 miles. They are much smaller and lighter when compared to their GEO counterparts, and there are more of them in orbit. A typical LEO constellation consists of up to 60 satellites orbiting the earth at high speeds. This means that at any one time you will have line-of-sight to at least two or three satellites, giving you more reliable coverage if you are in a polar or mountainous region. Since LEO satellites are much smaller, they are more suited to voice transmission or short text/SMS messaging. These days almost anyone can benefit from owning a sat phone. Are you a mountain climber or trekker who routinely travels far up in the mountains in small groups? Do you fish in exotic locales, isolated beaches, far down rivers that time forgot, or clear high-mountain lakes? Does the thrill of an African safari stir something deep and primal within you? Even for those who do not typically travel abroad, our own backyards are ripe with places where there is little to no cellular coverage. Anyone who likes to be prepared should know that cellular networks will be the first to crash and/or become overloaded in an emergency or disaster situation while satellite networks will be much more reliable. 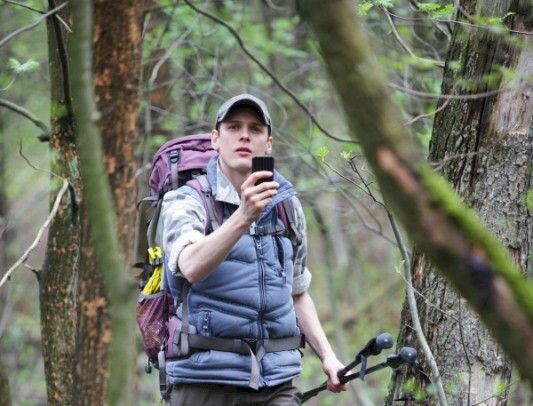 No matter your pleasure or purpose, satellite phones are a reliable communication alternative. You can expect to spend in the range of $500-$1500 on a sat phone, depending on your particular needs. Pricing structure for airtime varies with each manufacturer, but a safe estimate is around $2 per minute, plus a monthly service fee. This is significantly lower than roaming charges offered through some cellular networks. Many vendors also rent sat phones for about $75 per week plus airtime. It is worth noting that, since Global Rescue requires two-way communication with our members, a sat phone is just one method of enabling this. Satellite phone use is restricted, and in some cases illegal, in a number of countries. Examples include: North Korea, India, Myanmar, Cuba, Iran, Libya, Sudan, Poland, Hungary, and Angola. Please confirm coverage details with your provider prior to purchasing or renting a phone and research possible restrictions imposed by the countries you’ll be visiting. Should you have questions or wish for further information on sat phones, please post a comment below or feel free to contact Global Rescue at 617-459-4200. This entry was posted in Hot Techniques, Tackle and Techniques Magazine. Bookmark the permalink.